Do you love programming in PHP? If you don’t, could it be your editor/IDE? As a programmer, the tools you use, and how well you use them, can have a huge impact on your productivity. How much time have you wasted writing var_dump statements and printing log messages? What if you could just inspect the contents of a variable whenever you wanted? That’s what debugging allows you to do, and that’s what I do every day. Not sure what the array keys are? Inspect the variable. Not sure of the object’s properties? Inspect the variable. Not sure if a function is running? Stick a breakpoint on its first line, and see if your program stops execution at that point. Debugging saves time… But setting up debugging can also take some time, as it requires the installation of xdebug and the correct configuration set-up. Plus, if you’re using a virtual machine like a vagrant box, you’ll need to set up path mappings. 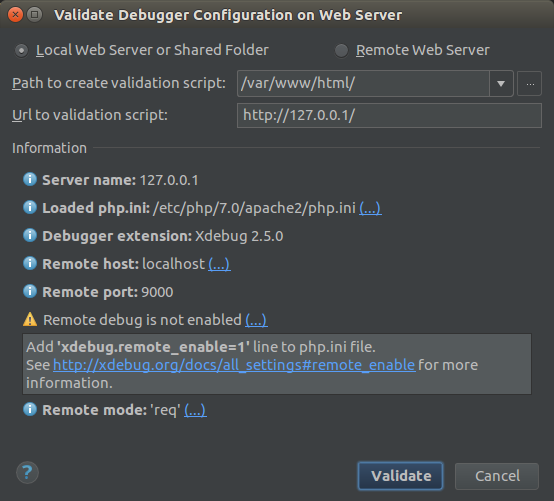 Click Validate….. and PhpStorm will tell you what’s wrong!! Next Use Twilio to Programmatically Text Yourself!